Sorry, you can only order up to 38 units of this product! 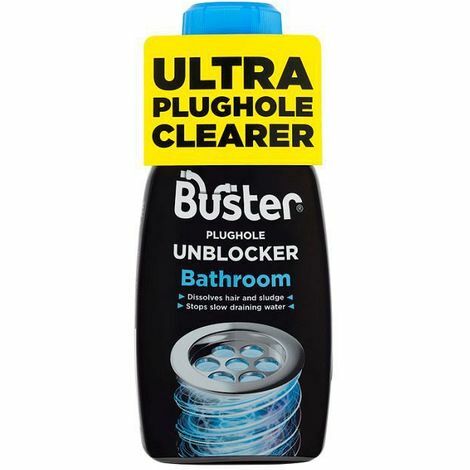 Unblock your bathroom drains with minimal effort using Buster Plughole Unblocker. It combats sludge, hair, germs and odours effectively opening up your waste pipes again. Used regularly it will prevent the slow running of drains and eventual blockage that occurs with daily grime.